Over the summer my stepdaughter took a keen interest in learning how to crochet, so it prompted me to pick up the crochet hook again. 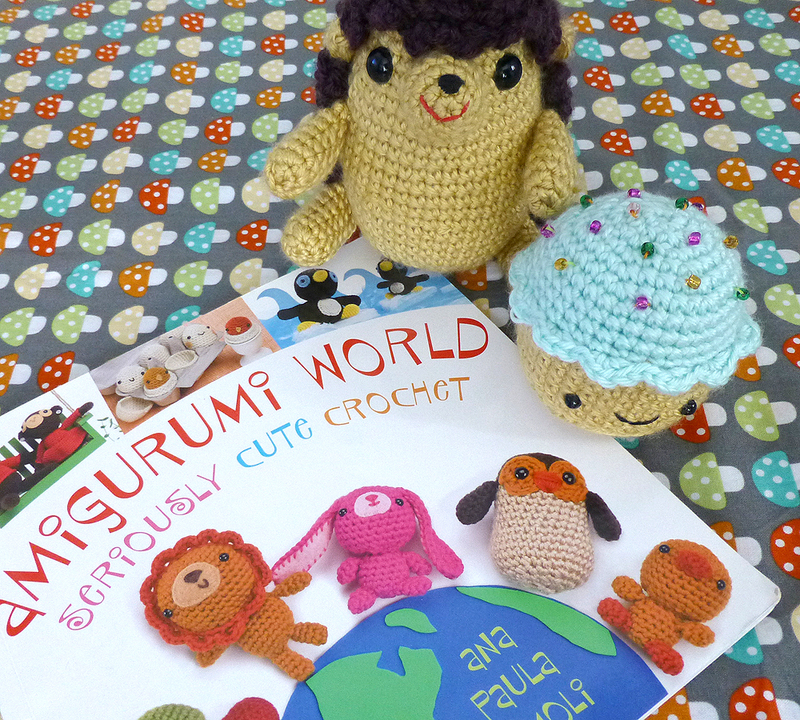 Years ago I had bought Amigurumi World: Seriously Cute Crochet and had crocheted a number of the projects in the book. 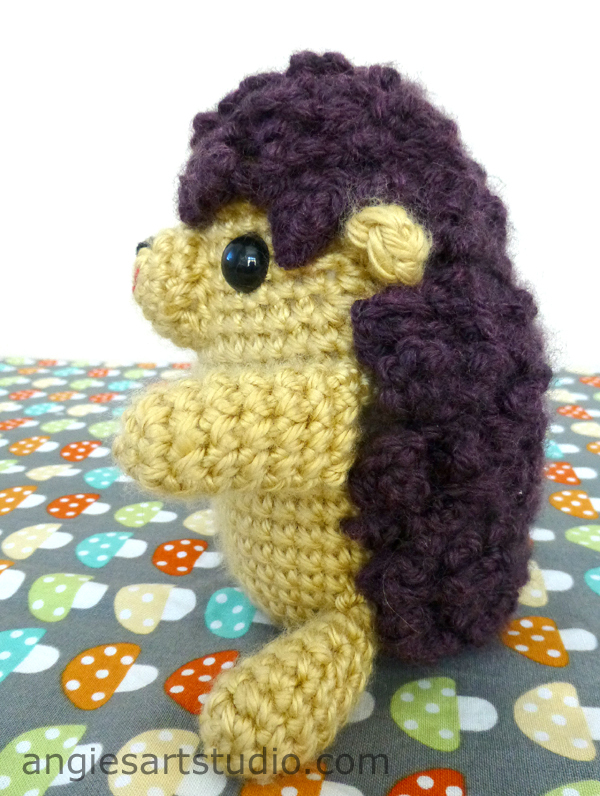 If you’re into crocheting cute amigurumi things, I highly recommend the book. Easy to follow directions and all the projects have turned out very nicely for me. 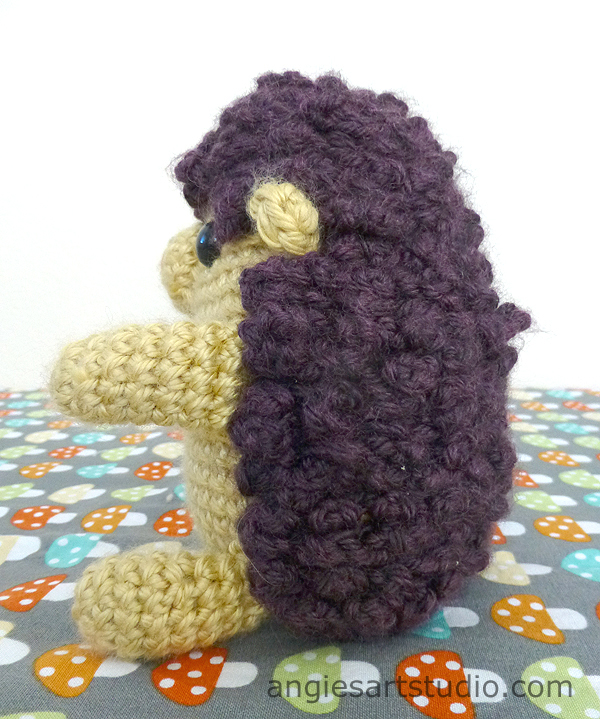 For the cupcake I increased the size of it which I find relatively easy to work out once I get the hang of a pattern. 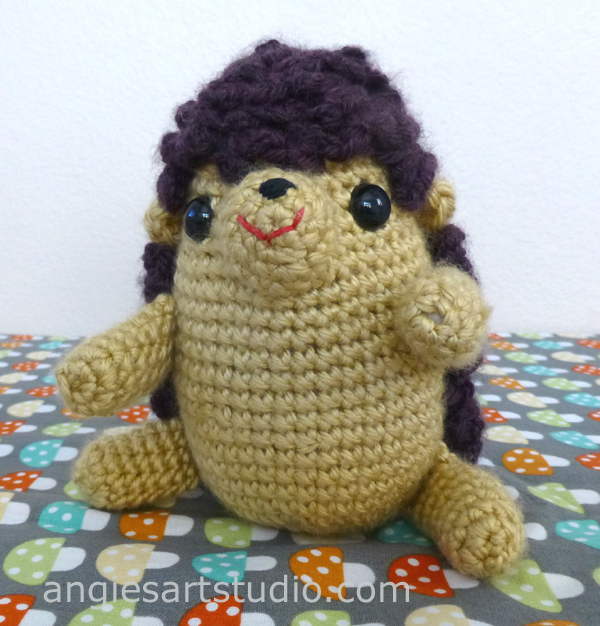 For the hedgehog I modified it a bit by adding 2 extra legs and coming up with my own version of the prickly coat as I wanted a lumpier texture than what was in the book. – Ch4, SC in 2nd Ch from hook, sk 1 SC, SC, repeat. 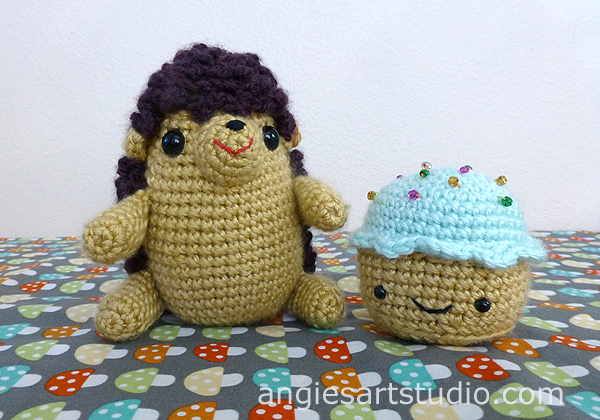 Hope that makes sense and happy crocheting!